Really, there’s not much surprise here considering Sarah Palin’s hypocrisy. 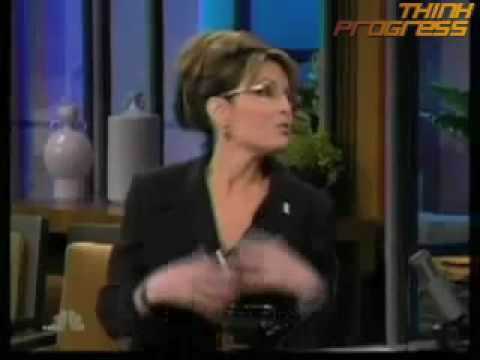 Fox News contributor Sarah Palin was on The Tonight Show with Jay Leno, where she had some rather entertaining things to say… And it was not the somewhat intelligent entertainment one would hope for from a Vice Presidential candidate, but rather what you would expect from Palin: a tsunami of BS. Fox News’ Sarah Palin a Hypocrite? You Betcha! PALIN: I would ask the president to show decency in this process by eliminating one member of that inner circle, Mr. Rahm Emanuel, and not allow Rahm’s continued indecent tactics to cloud efforts. Yes, Rahm is known for his caustic, crude references about those with whom he disagrees, but his recent tirade against participants in a strategy session was such a strong slap in many American faces that our president is doing himself a disservice by seeming to condone Rahm’s recent sick and offensive tactic. BECK: But anyway, Dave, what is the — what is the controversy? One of the guys called another guy a naughty name. BECK: African-American is a bogus, PC, made-up term. I mean, that’s not a race. 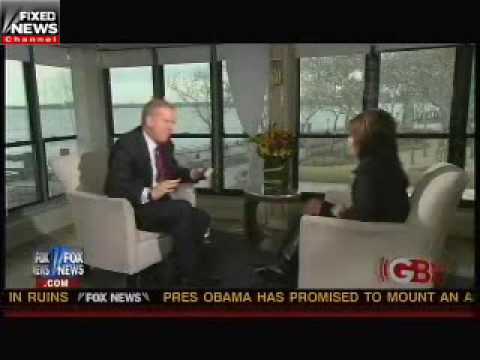 Palin has yet to condemn Rush Limbaugh for using the term several times (i.e. calling liberals “retards” and calling for a “retard summit”). LIMBAUGH: Our political correct society is acting like some giant insult’s taken place by calling a bunch of people who are retards, retards. I mean these people, these liberal activists are kooks. They are loony tunes. And I’m not going to apologize for it, I’m just quoting Emanuel. It’s in the news. I think their big news is he’s out there calling Obama’s number one supporters f’ing retards. So now there’s going to be a meeting. There’s going to be a retard summit at the White House. Much like the beer summit between Obama and Gates and that cop in Cambridge. Irish bookmakers, Paddy Power, will be taking bets on how long drop-out Governor Sarah Palin will stick with her new position as Fox News contributor before throwing in the towel, as well as who she will offend first. Early betting points toward Sarah Palin being dropped by the global news broadcaster between September and December 2010 with Paddy Power offering odds of 10/11. Slightly longer odds of 11/10 are available on the 45 year-old politician keeping her broadcasting role at Fox News into 2011. It was just a matter of time… Fox News has confirmed that Sarah Palin, who regularly said that Saddam Hussein was behind 9/11, will join FNC as a contributor. Apparently, she will host an occasional series, but will not have her own show. Palin won’t be the first GOP governor to become a Fox News personality, as she will be joining the channel that hosts Mike Huckabee’s weekend show. Also, Fox News’ Greta Van Susteren is close friends with the Palin family, her husband having been an adviser for Sarah Palin. Fox News also invited the Palins to the White House Correspondents Dinner, though only Todd attended. The editors will be busy if the ‘zero tolerance for on-screen errors‘ policy is enforced… which, we’ve seen, is not. Is Sarah Palin a Cash Cow for Fox News and News Corp? It’s a safe bet the people she’s referring to include Fox News’ Andrew Napolitano, Bill O’Reilly, Dennis Miller, Glenn Beck, Greta Van Susteren, Laura Ingraham, Michelle Malkin and Sean Hannity, in addition to Ann Coulter, Lou Dobbs and Rush Limbaugh.